Sinfully delicious as a topping for lattes, fresh fruit, and other desserts. Make this with your favorite flavor of Keep It Simple Syrup. Top fresh berries with spearmint cream, and pumpkin pie with cinnamon cream. De-lish! 1Place a large metal bowl and electric beaters into the freezer for at least 15 minutes before adding chilled cream (the cream will whip up to about 3 times its volume so be sure to use a large enough bowl). 2Start beating the cream on a low setting. Once it begins to thicken, slowly drizzle in the KISS and gradually increase the speed to high. Continue to beat the cream until it forms soft peaks, i.e. 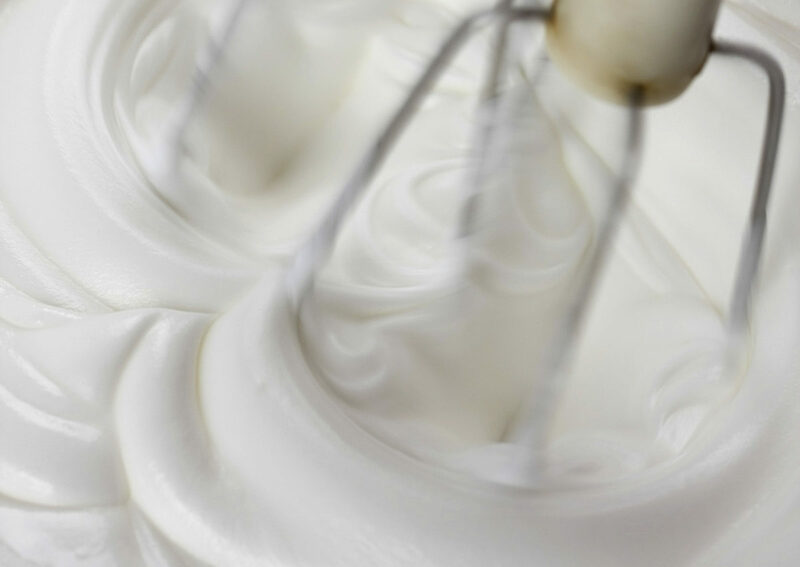 when the beaters are removed from the cream, a soft peak should form and then drop to the side. Avoid over-whipping the cream as it will eventually turn to butter. 3Whipped cream is best used fresh but may also be covered and chilled for up to a day. 1 Alternatively, you may use a Whipped Cream Dispenser. Simply pour 1¾ cups heavily-chilled cream and ¼ cup KISS into a chilled, 1-liter metal dispenser. 2Secure top, shake well, and then follow manufacturer’s directions involving nitrous oxide charger to whip the sweetened cream.